The incredible and almost unbelieveable events of the last two days with regard to the reporting of votes in the City of Brookfield in Waukesha County in Tuesday's election for the State Supreme Court warrant a full investigation by the Wisconsin Government Accountability Board, the U.S. Attorney for the Eastern District of Wisconsin, the Wisconsin Department of Justice and the District Attorney of Waukesha County. Furthermore, the Government Accountability should authorize and supervise a statewide recount of all ballots cast in Tuesday's elections and such a recount should be funded by the State of Wisconsin. 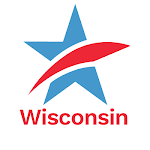 Only after thorough investigations are completed and a statewide recount of all of the votes in the Wisconsin Supreme Court election has been completed, verified and certified should the citizens of Wisconsin be satisfied and confident that the election process was conducted and completed with integrity and that the result was honest and accurate. Common Cause in Wisconsin calls on the campaigns of incumbent Justice David Prosser and challenger JoAnne Kloppenburg to support a full and thorough investigation by the Wisconsin Government Accountability Board, the U.S. Attorney for the Eastern District of Wisconsin, the Wisconsin Department of Justice and the District Attorney of Waukesha County. Both Justice Prosser and Ms. Kloppenburg should furthermore demand a statewide recount that is not funded by either campaign. Full Investigation of Waukesha County "Found" Votes in Wisconsin Supreme Court Election and Statewide Vote Recount Must OccurTweet this!